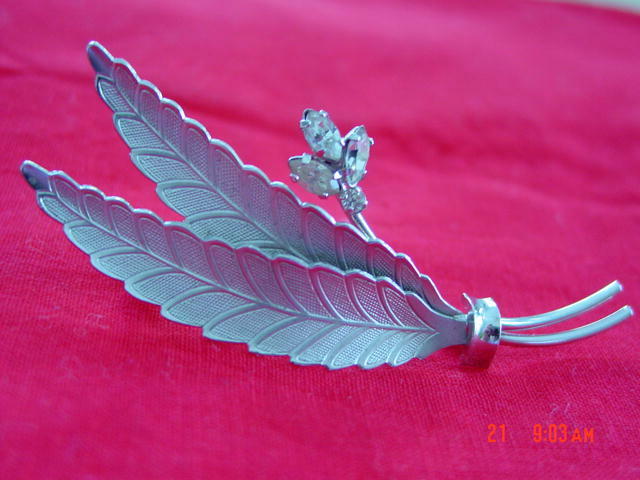 This silver double long leaf brooch with a rhinestone flower posy is marked sterling on the back and was made by C.R. Co. There is simple elegance in the very fine detail in the ribs of the long leaves. The flower posy consists of three small prong set marquis cut rhinestones in the form of a clover, and a small round rhinestone at the base of the flower. This brooch is in excellent condition and would be a wonderful asset to someone who collects leaf pins! 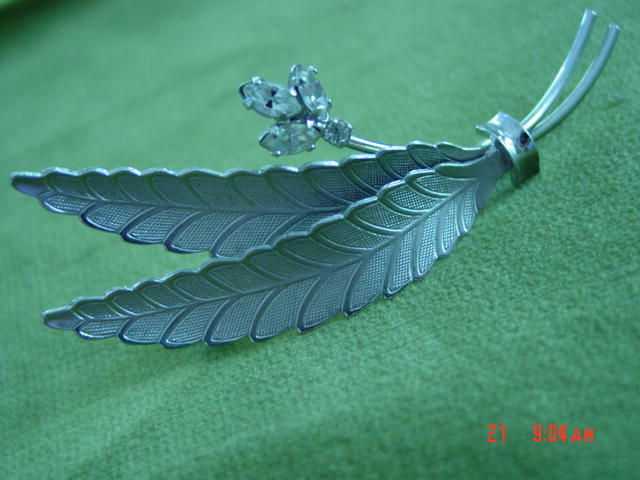 Items Similar To "Sterling Silver Double Leaf Brooch Pin With Rhinestones by C.R. C..."